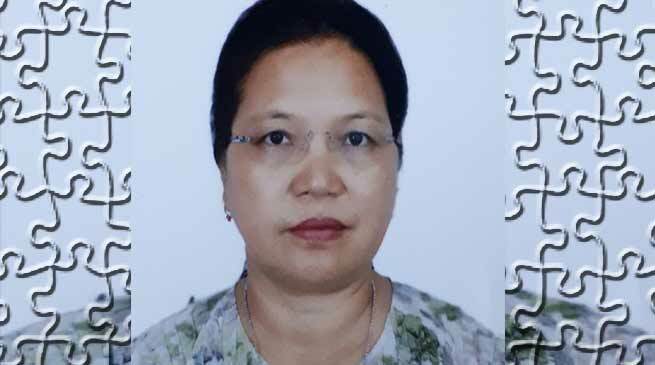 Dr. Taba Nirmali who was appointed as Chairperson of the Arunachal Pradesh State Commission for Women (APSCW) have refused to join the commission. In a letter to the Chief Minister today Dr. Nirmali intimated to refused to join the commission as Chairperson citing various reason for inability to join. She write‘ I am very glad & fortunate to be appointed as the Chairperson of the APSCW for the 5th Commission vide memo no-SWCD-52/2007 (WC) Vol-I/2911-3066 on March 9 2018′. While paying her gratitude to Governor Brig (Dr) B D Mishra, Chief Minister Pema Khandu, Chief Secretary Satya Gopal who have assigned such a prominent, respectable and responsible post, but unfortunately ‘ i cannot joined the post as i am oblige toward the public of 16th Yachuli Assembly constituency of Lower Subansiri district in the upcoming assembly election in 2019’ she added . Meanwhile Dr. Taba Nirmali while talking to Arunachal24 said that she have made her commitment to serve the people of Yachuli assembly constituency in the political endeavour and won’t be able to give time and effort required for the office of the APSCW Chairperson. When asked as why it was delay in taking the decision Dr. Nirmali said that ‘it was due to health ground and now i am better and feeling fine’. She said that ‘I will always support and promote for the development of the women in Arunachal Pradesh as i am a women, mother and a wife”. She further appeal the government and the likeminded people, well-wishers to support in future determination and work for the public at large.